DMC Perle Cotton now available! 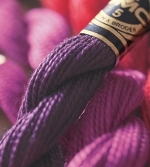 $4.00 per skein. Please email sales@luciatapestrieswoolcrafts.com.au to order these threads.